The level of Premium Cart that you have determines the amount of products, traffic, bandwidth, hard disk storage, and more for your internet store. 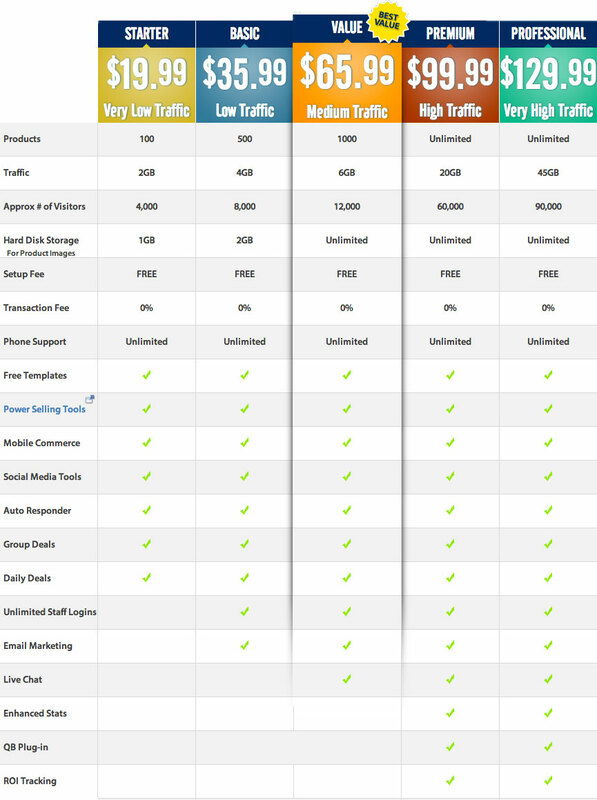 The image below represents the pricing and features that correspond to each Premium Cart level. To upgrade your Premium Cart level, contact your Sales representative! If going through GoEmerchant's Sales Team, call (888) 638-7867.